Trending over 400 times in 2017 on Twitter, a reach of hundreds of millions on Facebook, #1 or #2 placement of over 4,600 keyword searches on Google and appearing in thousands of newspaper articles, the “Guru of Geek” Marlo Anderson garners publicity almost daily as the founder of National Day Calendar. Marlo can show your audience how to achieve this level of publicity that can increase traffic to your website, increase sales or awareness and develop you as the authority in your field. The Autonomous Friendly Corridor is a project that Marlo is currently advancing. The plan is to find a safe path to introduce autonomous (self-driving) vehicles to the general public. Imagine a world where injury causing automobile accidents are almost eliminated. This technology will change how we travel. Many industries will be impacted and it is important that you are ready for this change. Marlo can enlighten your audience in a fun and informative way. event. Marlo can broadcast to his audience from your event, be a keynote speaker, act as Master of Ceremonies or interview those special guests in a public forum. The “Guru of Geek” has the ability to make those events fun, memorable and teachable. Click here to see a recent presentation. Wonderful interview. Great host! Thanks so much! Questions and content was spot on. I highly recommend the “Guru of Geek” Tablet holder the Kribbit. Please fill out the form below. Someone will reach out to you shortly about scheduling and cost. 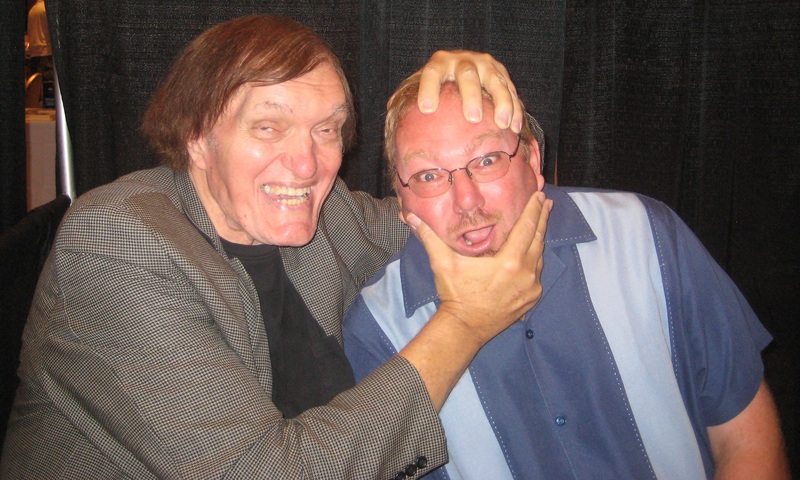 Hollywood legend Richard Kiel (James Bond, Star Trek, Twilight Zone etc.) with “Guru of Geek” Marlo Anderson.